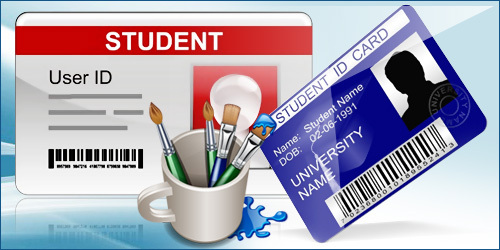 If you want to create your own student ID card without acquiring any professional services, there's a DRPU Student ID Cards Maker software choice for you. Student ID Card Creator tool helps you to design and print customized student ID cards in various shapes and sizes. Software has option to generate ID cards using pre-defined templates or by using Live group and Batch processing mode that is ideal for ID card designing of group of people. Student ID Card Maker facilitates you to add ID card details using excel file. With inbuilt email setting option, you can send your designed ID card at specified email address. Provides Live group and Batch processing mode for ID Card designing of multiple people. Software has option to take picture of student using camera setting feature. 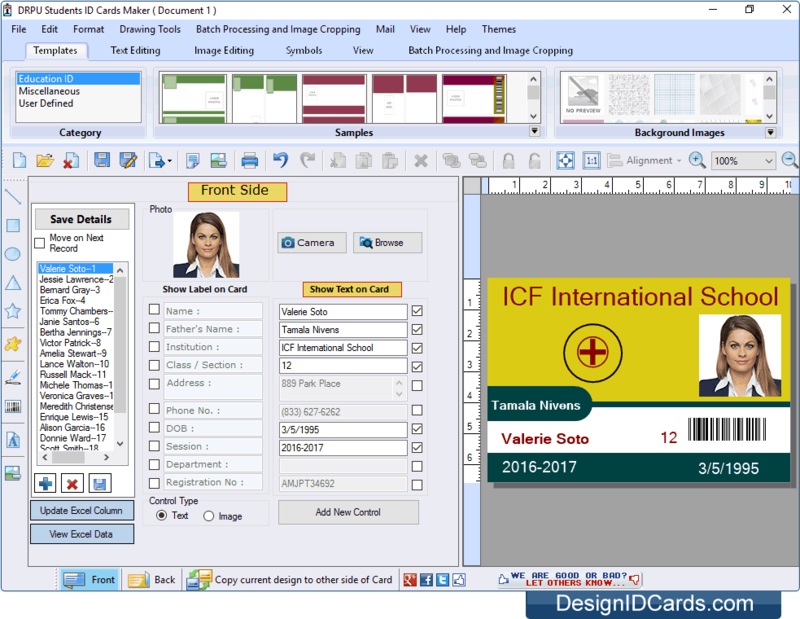 Facility to crop a single or multiple images for ID cards using Image Cropping Tool. Option to copy current ID card design to the other side of Card. Design student ID card using Line, Ellipse, Pencil, Rectangle, Text, Arc, Triangle and other image designing tools. Facility to save designed student ID cards log for future reference. Software provides Batch Processing series feature to create multiple copies of ID cards with different barcode and text value. Provides option to choose ID card design from pre-loaded or Custom templates. Create student ID cards in Rectangle, Rounded Rectangle and Ellipse shapes. Facilitates you to print your designed ID cards using advanced print setting option.